A beautiful and fluffy client for Mastodon, written in TypeScript and React. Dev updates found at @alicerunsonfedora. After discovering an error with the newly-implemented 404 page, we&apos;re re-releaseing Beta 2 that disables the 404 page in question. We apologize for the inconvenience and will make sure this doesn&apos;t happen again. We are also deploying this to our beta branch at https://hyperspaceapp-next.herokuapp.com. Correction: The update is at https://hyperspaceapp-next.herokuapp.com. We just released a new beta update to #Hyperspace 1.0 that makes some minor improvements to notifications and styles on mobile devices. 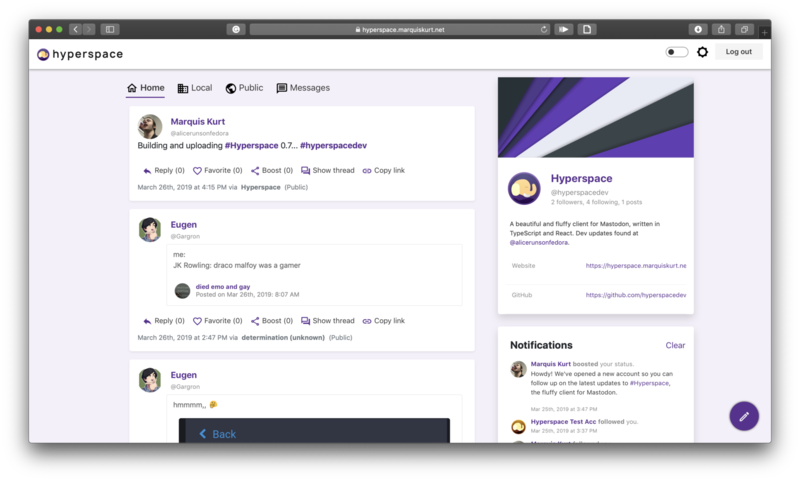 You can download the update on GitHub (https://github.com/hyperspacedev/hyperspace/releases/tag/1.0.0beta1u1) or try the new update out on https://hyperspaceapp-next.heroku.com. What do you guys think? Should I make a native version of Hyperspace for iOS/Android? Hyperspace is a client for Mastodon and the fediverse. 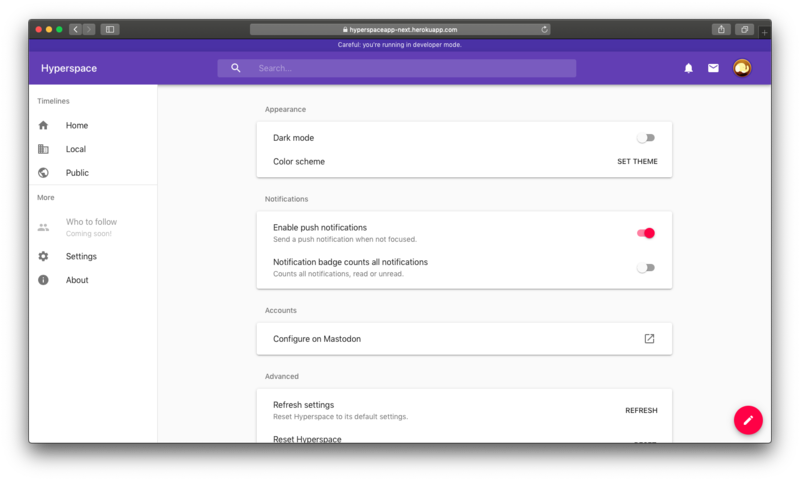 It aims to provide a clean, simple, and fun interface for interacting with Mastodon instances. Toot toot! 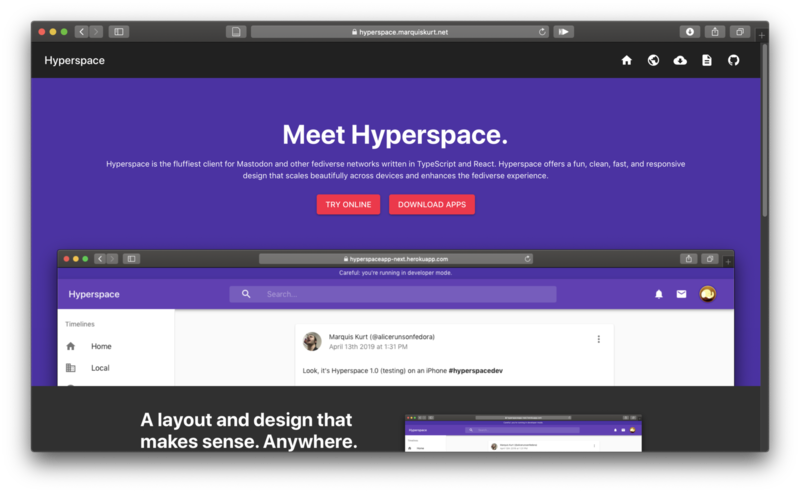 Hyperspace is a fluffy client for Mastodon! 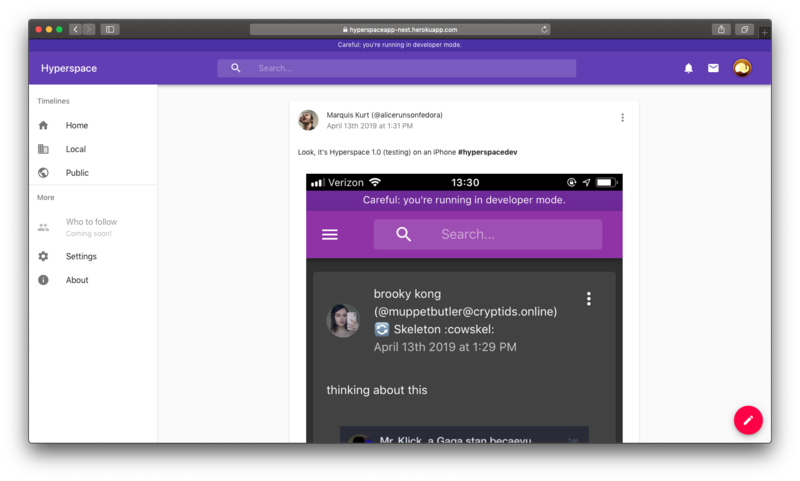 Browse and interact in Mastodon with a fun, easy, and clean interface for the web and desktop. 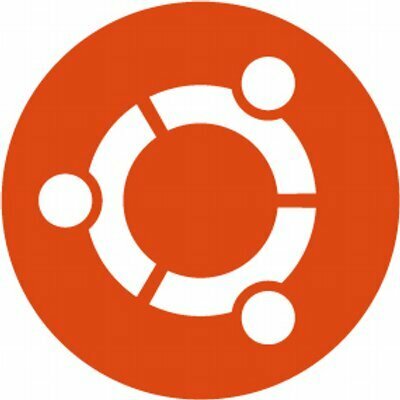 Now available as a snap for #ubuntu. 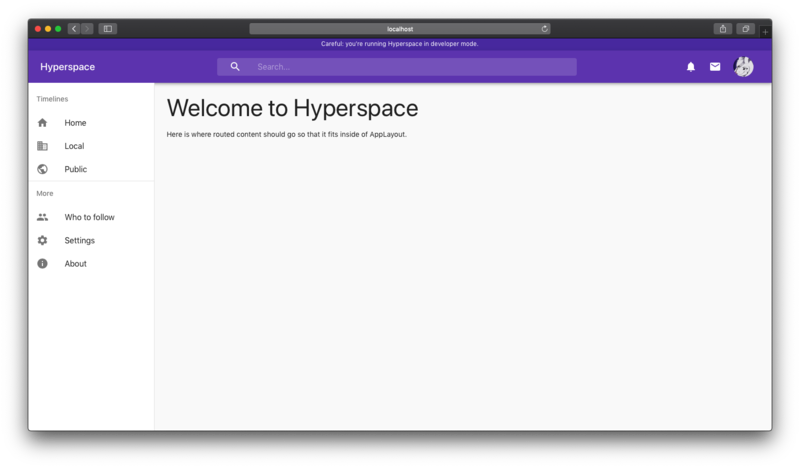 #Hyperspace 0.7 is here! 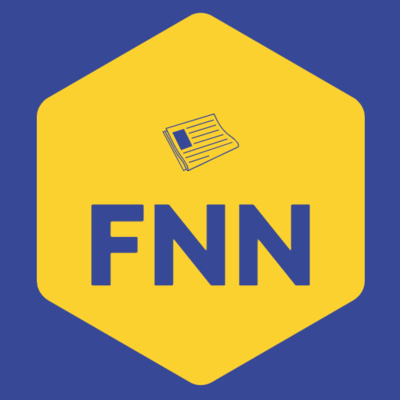 New emoji picker with custom emojis , poll support, keyboard shortcuts, and more! Get it now and enjoy the new experience! Howdy! 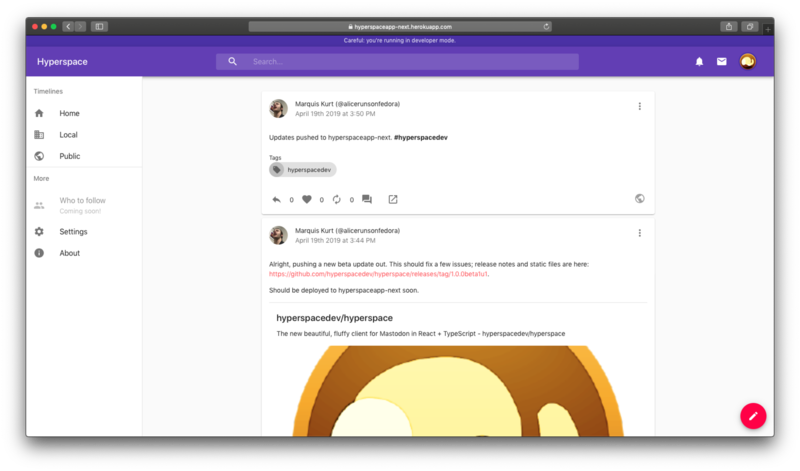 We&apos;ve opened a new account so you can follow up on the latest updates to #Hyperspace, the fluffy client for Mastodon.